Vibrant colors and gorgeous creations come to life in this playful pup from Romero Britto.. Vibrant colors and gorgeous creations come to life in this darling little doggie from Enesco. 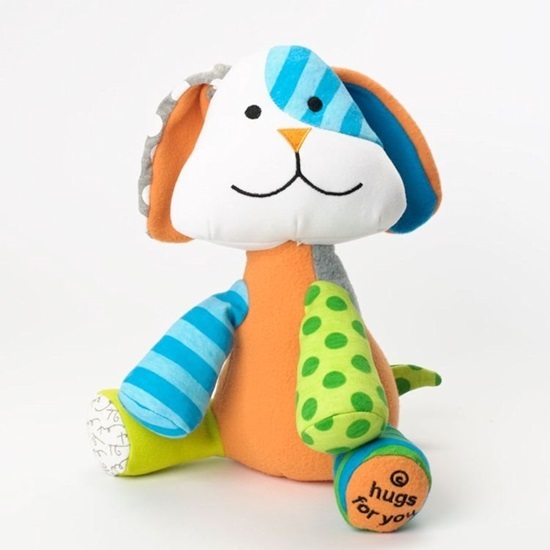 Meet "Sunny", an 11-inch puppy from internationally acclaimed artist Romero Britto. 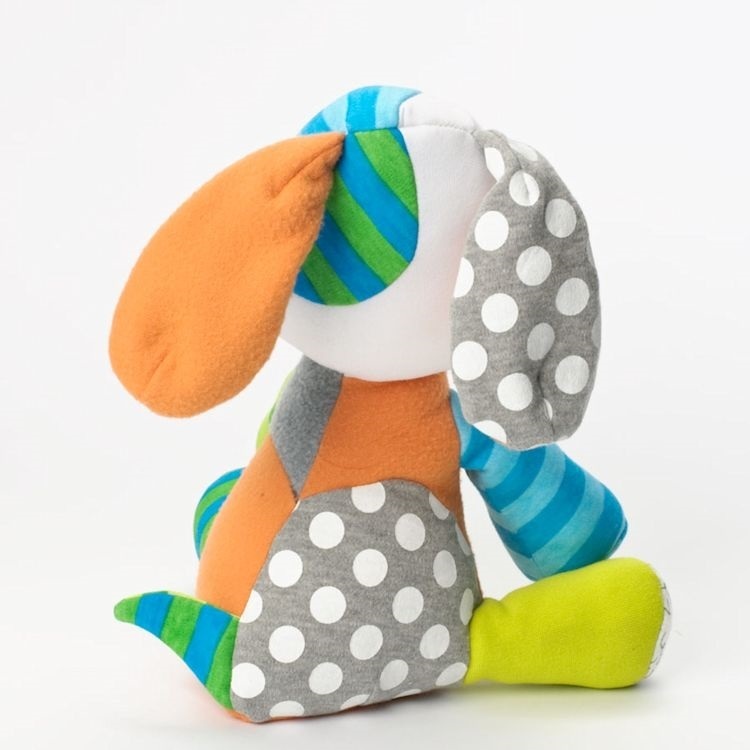 This colorful pup is made up of 100% softly textured cotton. He was first introduced in June of 2013. “Hugs for you” the special message sewn onto the bottom of his foot, conveys “Sunny”’s snuggly nature. World renowned for his bold patterns, optimistic designs and colorful palettes, Romero Britto's iconographic pop art comes to life in huggable Pop Plush!